Sat., 30 Nov. - Sat., 14 Dec. Sat., 2 Nov. - Sun., 17 Nov.
Fri., 10 May - Tue., 18 Jun. Mon., 28 Oct. - Thu., 21 Nov. Tue., 28 May - Thu., 25 Jul. Mon., 20 May - Wed., 12 Jun. Thu., 30 May - Tue., 16 Jul. Thu., 13 Jun. - Thu., 3 Oct. Thu., 31 Oct. - Thu., 13 Feb. Tue., 18 Feb. - Fri., 21 Feb.
Wed., 28 Aug. - Wed., 11 Sep.
Wed., 28 Aug. - Sat., 31 Aug. 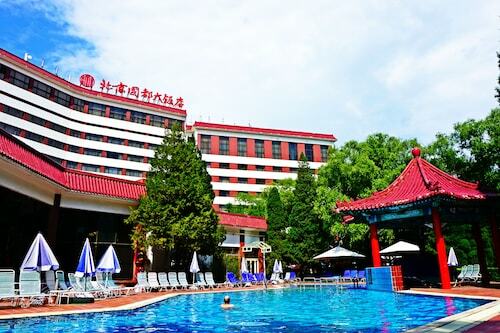 Located near the airport, this family-friendly hotel is 1.5 mi (2.4 km) from New China International Exhibition Center. China International Exhibition Center Station is 12 minutes by foot. Located near the airport, this family-friendly hotel is within 9 mi (15 km) of New China International Exhibition Center, Goldenport Park Circuit, and China Railway Museum. Lady Street Market and Beijing Golf Club are also within 12 mi (20 km). Terminal 3 Station is 16 minutes by foot. 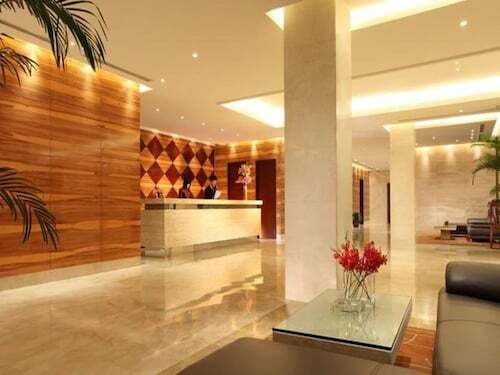 Situated in Beijing, this hotel is within 9 mi (15 km) of New China International Exhibition Center, Goldenport Park Circuit, and China Railway Museum. 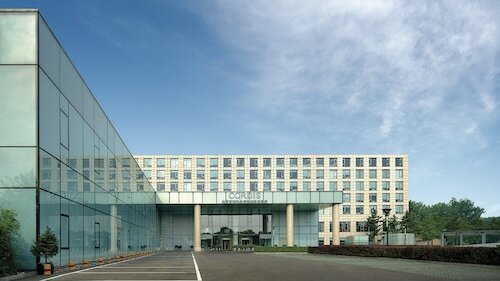 798 Space and Beijing Golf Club are also within 12 mi (20 km). Terminal 2 Station is 17 minutes by foot. 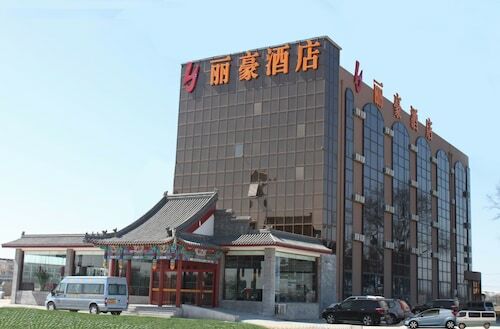 Situated in Beijing, this hotel is 2.8 mi (4.6 km) from New China International Exhibition Center and within 9 mi (15 km) of Goldenport Park Circuit and China Railway Museum. 798 Space and Zhang Laffitte are also within 12 mi (20 km). Situated near the airport, this luxury hotel is 6.1 mi (9.9 km) from New China International Exhibition Center and within 12 mi (20 km) of Goldenport Park Circuit and China Railway Museum. 798 Space and Beijing Golf Club are also within 12 mi (20 km). 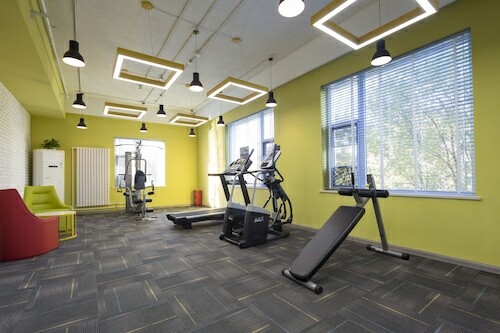 Situated near the airport, this hotel is 4.2 mi (6.7 km) from New China International Exhibition Center and within 16 mi (25 km) of National Agricultural Exhibition Center and North Star Shopping Mall. Situated near the airport, this hotel is 2.8 mi (4.6 km) from New China International Exhibition Center and within 9 mi (15 km) of Goldenport Park Circuit and China Railway Museum. 798 Space and Lady Street Market are also within 12 mi (20 km). 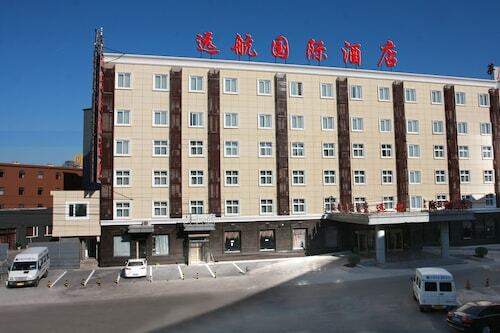 Situated in Beijing, this hotel is 2.7 mi (4.3 km) from New China International Exhibition Center and within 9 mi (15 km) of Goldenport Park Circuit and China Railway Museum. 798 Space and Lady Street Market are also within 12 mi (20 km). Question : What is the cheapest date to fly to Beijing? Answer : Apr 28th has bookings (as of Apr 15th) for as little as $877. That comes in 34% below the average price. Saving now gives you more moolah in your pocket for your trip. Answer : The cheapest day to fly from Winnipeg to Beijing is on Sunday. If you would like to save a bit of cash on your next trip look for flights on Sunday. Question : How much is a plane ticket to Beijing (PEK) from Winnipeg (YWG)? Answer : Prices can vary anywhere from $837 to $4,316. Booking in advance can typically help you get the cheapest ticket. The further out you book your ticket, the more likely you are to save. Question : How much time do people spend in Beijing? Answer : The average time spent in Beijing by passengers from Winnipeg is 22 days. However long you decide to stay, give yourself plenty of time to see what makes Beijing fantastic. Question : What is the cheapest airline flying from Winnipeg to Beijing? Answer : Flight prices are hitting highs of $4,316 over the next three months when flying to PEK from YWG. Check out WestJet, as they have bookings at just $837. Answer : You sure can adjust your departure or arrival date and you may save by changing it. The lowest-cost day to fly in April is Sunday.